page : 1 , 2 , 3. 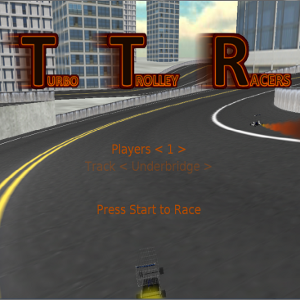 Turbo Trolley Racers is a 3D racing game. Players race against each other or against A.I. opponents in rocket powered shopping trolleys. 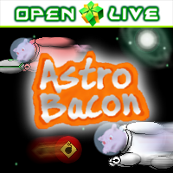 Astro Bacon is a 2D, side-scrolling, space shooter for Windows Phone 7. A group of genetically modified pigs are invading earth and it's up to the player to stop them. Bounce is a fun, 2D, physics-based, casual game for Windows Phone 7. 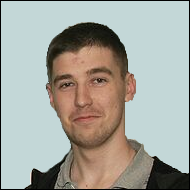 The aim of the game is to bounce a ball up to a goal by controlling tilting platforms. Platforms have varying effects on the ball. This is a Doom style, 3D First Person Shooter. 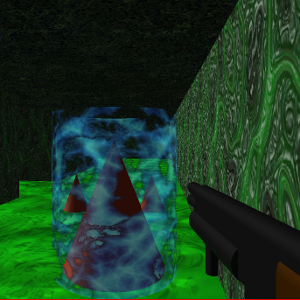 The player must fight evil cones on their way through a maze to escape. 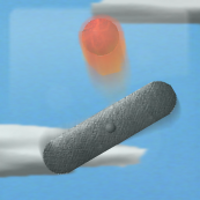 The player has limited ammunition and their health deteriorates over time.